Are We Still Made in God’s Image? Is it true that chimpanzees are 99% human? The Hebrew slave who lived in Egypt about 3,500 years ago was considered to be the property of Pharaoh. Most all Egyptians disliked that slave because of his involvement with livestock (read Genesis 46:34). 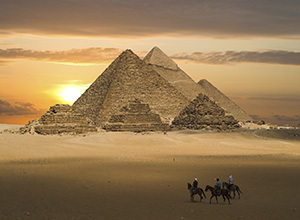 He was forced to work from sunrise to sunset, building the great Egyptian store-cities and monuments. The only one this slave knew who was considered to be like a god was Pharaoh, who supposedly was the living form of the Sun god, named Ra. 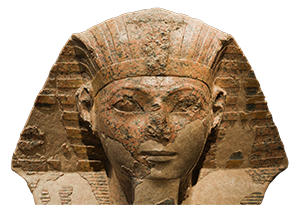 Pharaoh was also considered the only person who bore “the image of God.” The Egyptian canal digger and the businessman, the taskmaster and the Hebrew slave, were all thought to be of lower value because they did not bear God’s image (or so they had been told). The phrase, “the image of God,” was never applied to the common person in Egypt, nor anywhere else in the ancient world. The rulers of empires were the only ones referred to as “images” of their gods. What a joy it must have been for a former slave in Egypt to find out that he was created in God’s image. How pleased the Gentile convert must have been when he learned that he was as much an image-bearer as any king. Outside the Bible, archaeologists and historians have never found where average people were said to have been created in the “image” of a god. In the time of Moses, God revealed to the Israelites that the first humans —Adam and Eve—were indeed created in His likeness. “God said, ‘Let Us make man in Our image, according to Our likeness; let them have dominion over the fish of the sea, over the birds of the air, and over the cattle, over all the earth and over every creeping thing that creeps on the earth.’ So God created man in His own image; in the image of God He created him; male and female He created them” (Genesis 1:26-27). God has honored mankind by equipping him with certain qualities that make him different from every other living creature on the Earth. In this issue of Discovery, we will look at some of those qualities, and explain more fully what it means to be created in the image and likeness of God.